Definition - What does Mandala Mudra mean? Mandala mudra is a complex hasta mudra (hand gesture) used primarily in conjunction with Buddhist prayers and chants, although it may be used in yoga practice, particularly to aid meditation. It is often referred to as the mandala offering mudra, so-called because it represents the offering of the universe for the benefit of all. 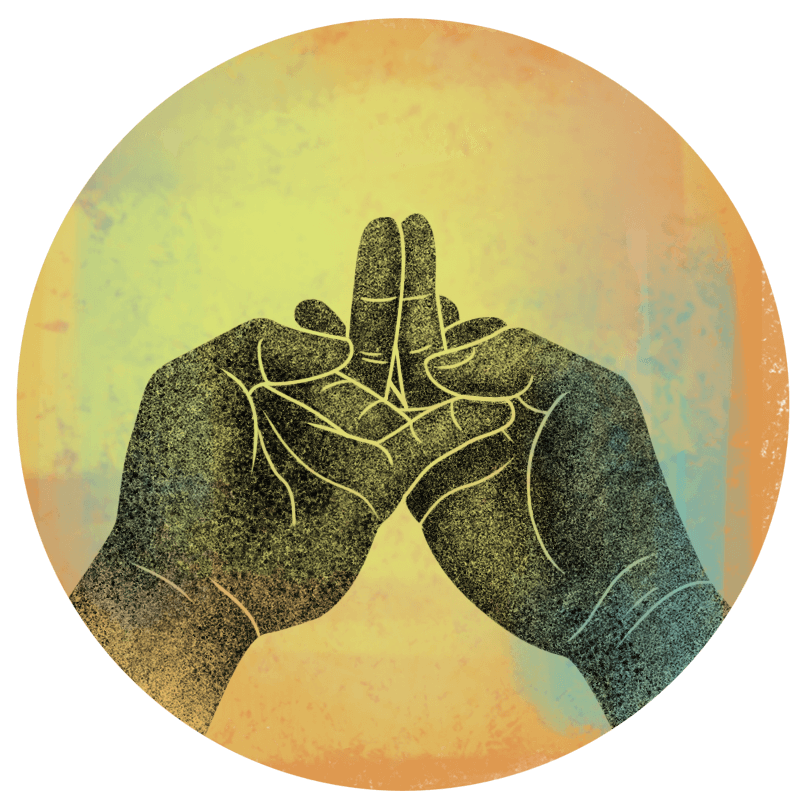 From a comfortable seated position, mandala mudra involves the intertwining of the fingers with the palms facing skyward. The ring fingers touch and point upward, perpendicular to the palms. Each thumb presses the tip of the opposite little finger, while the index finger of each hand presses the tip of the opposite middle finger. The raised ring fingers symbolize the sacred Mt. Meru region, considered to be center of the physical, metaphysical and spiritual universes. Practicing mandala mudra is believed to help reduce worldly attachments and purify the mind.